I have become obsessed with using task cards in my classroom. I absolutely love them and I think I have purchased every single one of Rachel Lynette's and Teaching with a Mountain View. It's so easy to just pull out a set for a particular skill that kids are struggling with. While I love using these in centers and during my small group instruction, I thought they would also be great for whole group instruction. I decided to take a few of the cards and write them on chart paper. 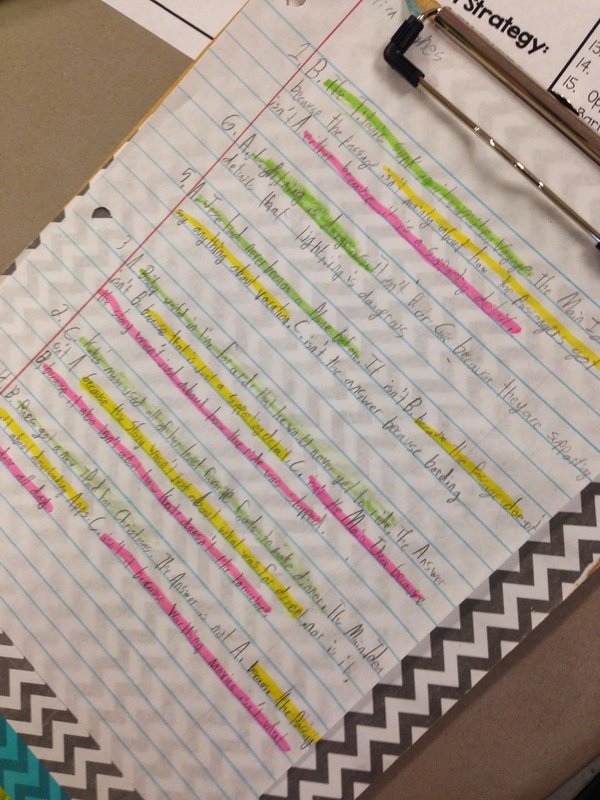 I displayed them around the room and the kids got into groups to figure out the main idea of each passage. I also added two other choices to pick the main idea from, so when they were finding the main idea, they also had to tell me why the other two were wrong. 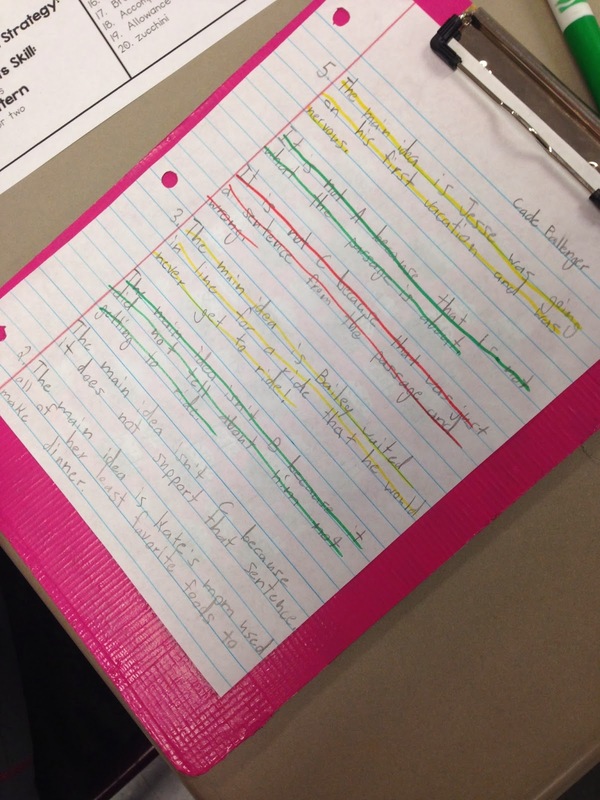 Once we finished determining the main idea of each passage, we color coded our answers. I think it's so important to teach kids how to highlight. If we didn't go over this in class, every kid would be highlighting every single word that they had written. This way, it's much easier to find what they're looking for when I call on one of them. 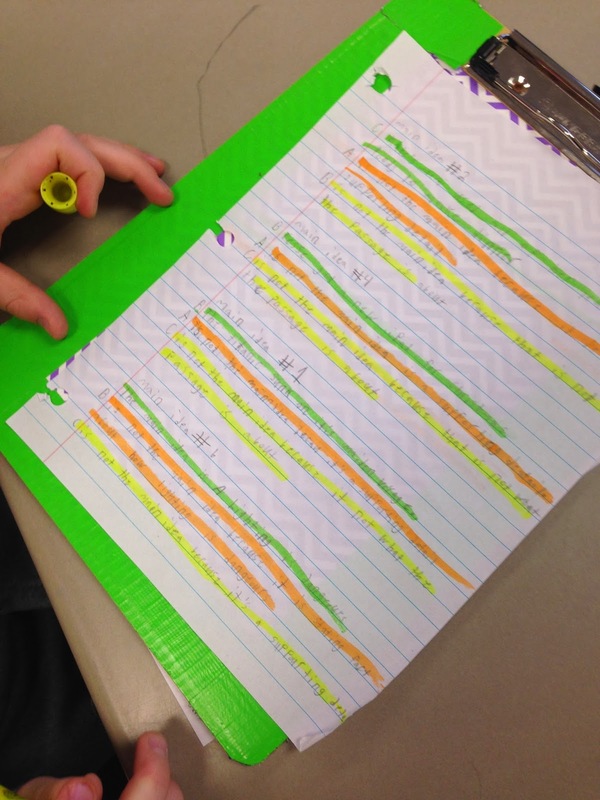 We highlighted each main idea in the same color and their reasons for why the other two choices weren't the main idea in another color. 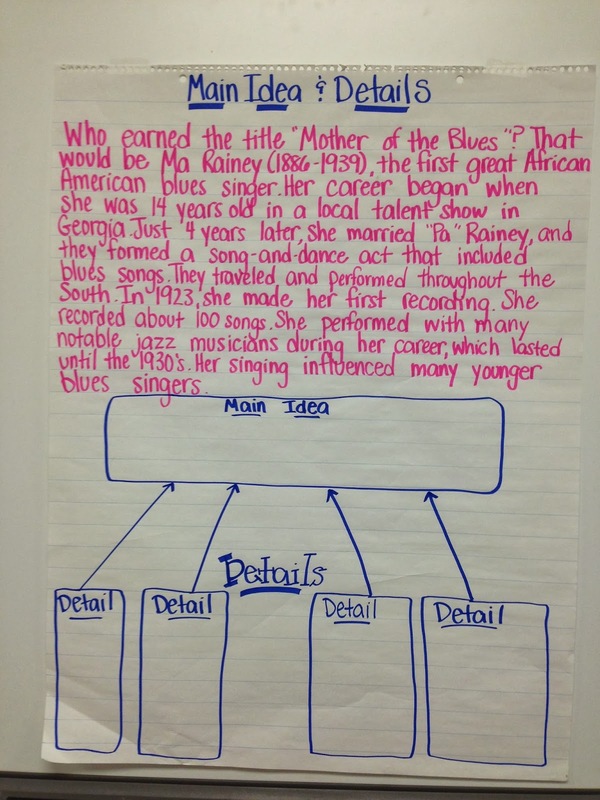 Lastly, we filled out a graphic organizer where we named the main idea of a passage, along with details that supported the main idea. I spent a little time in my classroom this weekend and rearranged some things. The room works so much better now and I'm loving the new areas. My kids were thrilled too :) We all need a little change every now and then, right? How wonderful is this book? Soooo good! I posted a pic on Instagram (msleslieann01) and I had several people say they read it aloud to their 5th graders. I would *love* to do this and actually had one student ask if we could do this with the book today but since I only have each group of students for around an hour and 1/2, I simply don't have time. I'm still struggling with fitting everything in, so a read aloud just isn't possible. 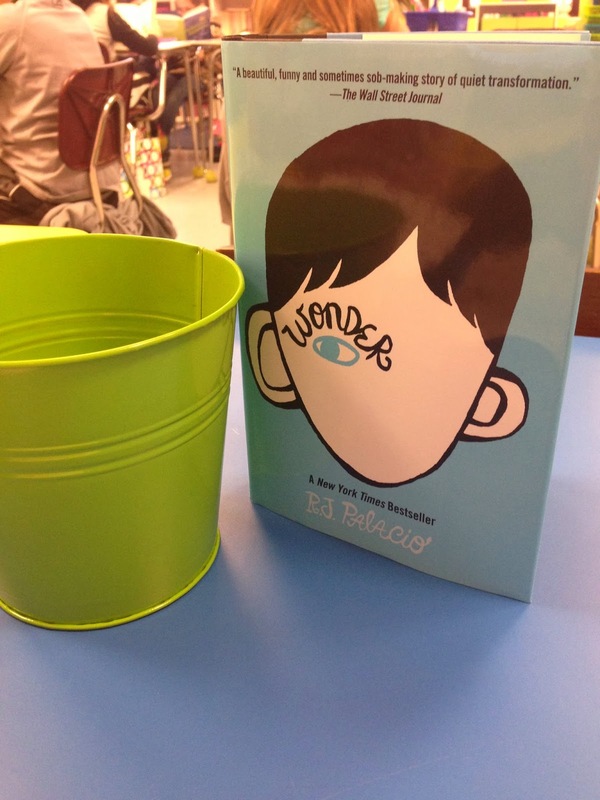 Instead, I talked about the book with each group and asked if they wanted to read it. If they did, they put their name on a piece of paper and placed it in the green bucket. At the end of the day, I randomly drew a piece of paper and that person got to read the book. When that person finishes, the book will be passed on. There's also a copy at the library that they can check out. If you haven't read the book, you definitely need to. It was so good!! Your classroom looks great!! 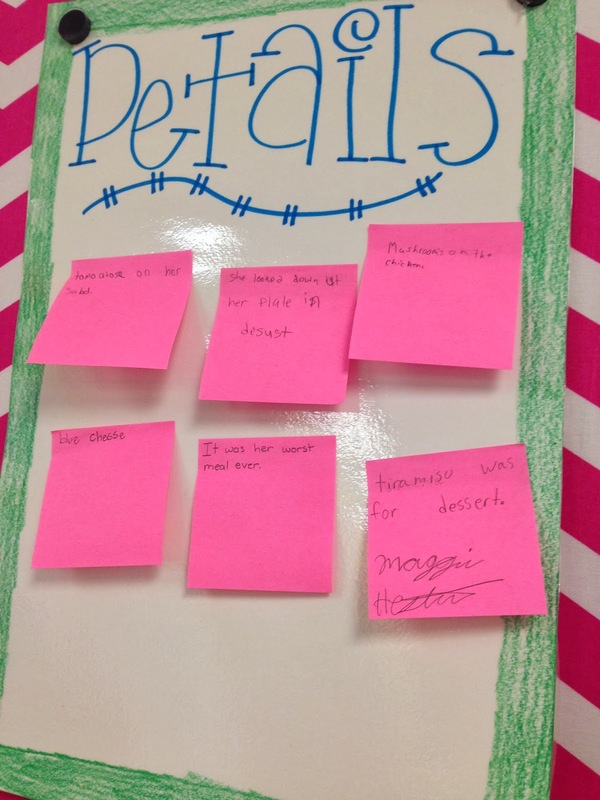 I love your blog.. You have inspired a lot of great ideas in my classroom. PS. I see your purse in one of the pictures- I die!!! LOVE!!!! 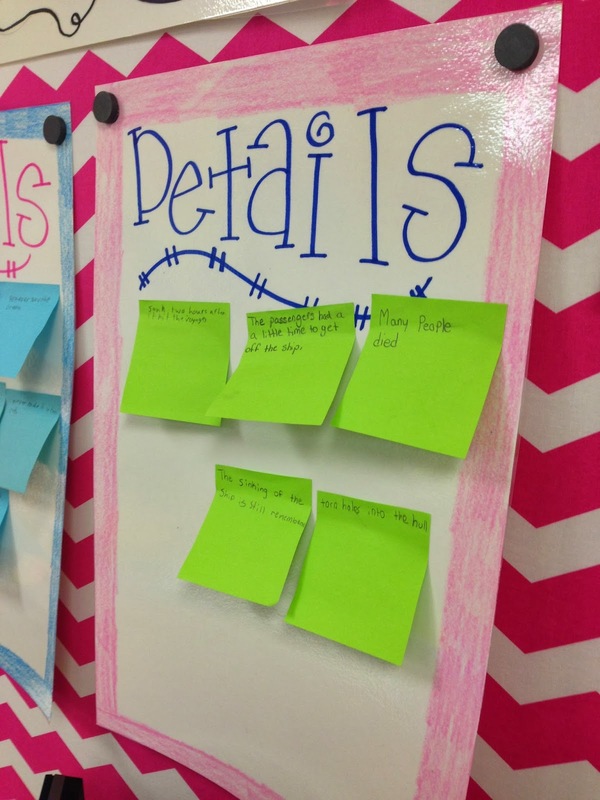 love the main idea activity! Where did you get your chevron bulletin board cover? Is it paper or fabric?! I LOVE IT!